You want only the purest ingredients when placing products in or around your mouth. 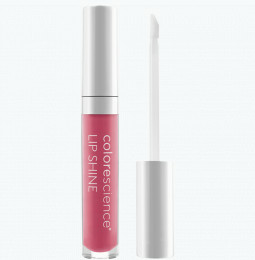 Steer clear of harsh chemicals by using Colorescience’s mineral lip gloss. Our cosmetics are devoid of irritants known to cause dry, chapped, cracking lips. Keep your pout nourished and hydrated with our natural glosses. What chemicals cause chapped lips? You might apply lip balm or gloss regularly, but your lips remain dry to no avail. If this is the case, you could be practicing proper application techniques—but using the wrong product. Unfortunately, bogus claims made on packaging hold little truth towards a product’s power. Companies will cheap out on less expensive ingredients, like beeswax versus petroleum jelly, to favor quantity over quality. Castor oil and lanolin are two common culprits of lip inflammation. Avoid products with alcohol and menthol. Although they might soothe on application, they ultimately cause dryness and cracking. We then lick our lips to provide moisture, but saliva itself is an irritant, and thus repeats the vicious circle. Will Colorescience lip gloss lead to cracked lips? No. We offer safe lip gloss made of raw, natural ingredients. We exclude all of those harsh chemicals listed above, which makes our product an excellent lip gloss for sensitive skin. We have nothing to hide in our formula, and list our ingredients proudly within our product description. Our gloss contains zinc oxide, the active ingredient that provides SPF 35. Now you can have a healthy mineral lip gloss that offers both shine and sun protection. It’s gentle enough to apply several times a day to protect against environmental stressors, without creating irritation or dryness. Do you offer other mineral cosmetics? If you love our natural mineral lip gloss, explore the rest of our cosmetic line to complete your look. Our mineral makeup powder with SPF will help keep you radiant every day by both protecting your skin and bringing out your best complexion. Use our all natural lip liner to define your lips and accentuate your glossy pout. For a dramatic effect that’s sure to turn heads, pick up our color palette and gel eye liner to pair smoky eyes with your lavish lips.